Do you support league chat? 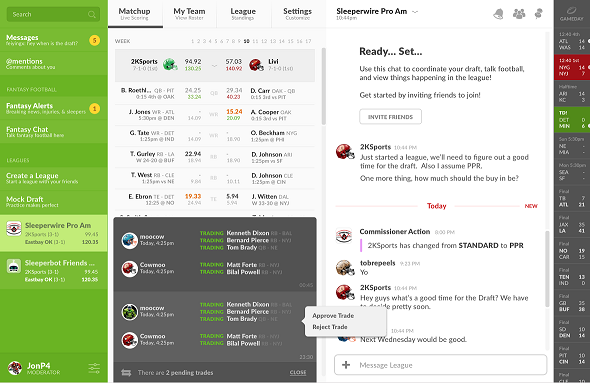 Sleeper is a messaging app for sports fans, so chat is at the heart of everything we do. Chat is weaved into every part of the experience in a way that brings your league closer together than anything you’ve tried before. You'll no longer need to resort to email and text to smack talk and stay in touch with leaguemates during the season.